“The works that Winifred Knights produced during and since her scholarship were of exquisite quality, and the exceptional beauty of her drawings has placed her among the outstanding artists of her generation”. Winifred Margaret Knights was born in Streatham, London in 1899. She studied at the Slade School of Fine Art (1915-17, 1918-20 and 1926-27) where she became a highly successful and favoured student of Henry Tonks. In 1919 she jointly won the Slade Summer Composition Competition with A Scene in a Village Street with Mill-hands Conversing (UCL Art Museum, London). In 1920, she became the first woman to win the prestigious Scholarship in Decorative Painting awarded by the British School at Rome. Her prize-winning entry The Deluge (Tate Gallery, London) received wide-spread critical acclaim (“the work of a genius”, Daily Graphic, 8/2/21). She remained in Italy until December 1925, marrying fellow Rome Scholar Thomas Monnington in April 1924. Her first major work in Rome, The Marriage at Cana (The Museum of New Zealand Te Papa Tongarewa) was completed in 1923. Studies survive for a number of other compositions (Jairus’ Daughter, Paradise, Bathsheba, Pompilia) but it is unlikely that these were ever completed. In 1924, Knights started work on The Santissima Trinita (private collection) which she completed in 1930. On her return to England, Knights received a commission to paint an altarpiece for the Milner Memorial Chapel in Canterbury Cathedral, Scenes from the Life of Saint Martin of Tours. She died at the age of 48 in 1947. The Flight into Egypt, a major commission for the Earl of Crawford and Balcarres, on which she had been working for 5 years, remained unconcluded at her death. Carefully following Renaissance compositional processes, Knights’ works were always supported by a large number of exquisite and painstaking studies on paper, in pen-and-ink, watercolour and oil. These often included extensive colour notes and elaborate systems of squaring-up for transfer. Throughout her life, Winifred Knights produced work through which she explored women’s autonomy. Presenting herself as the central protagonist, and selecting models from her inner circle, she consistenly rewrote and reinterpreted fairy tale and legend, biblical narrative and pagan mythology to create visual distillations of her own lived experience. 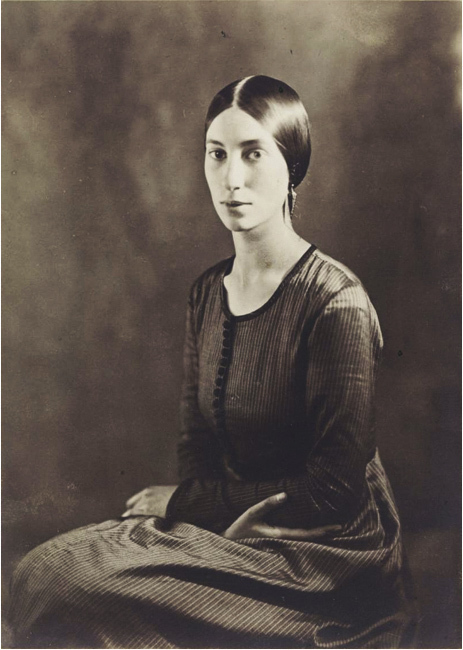 Copyright for Winifred Knights’ work is administered by Sacha Llewellyn on behalf of the artist’s estate.